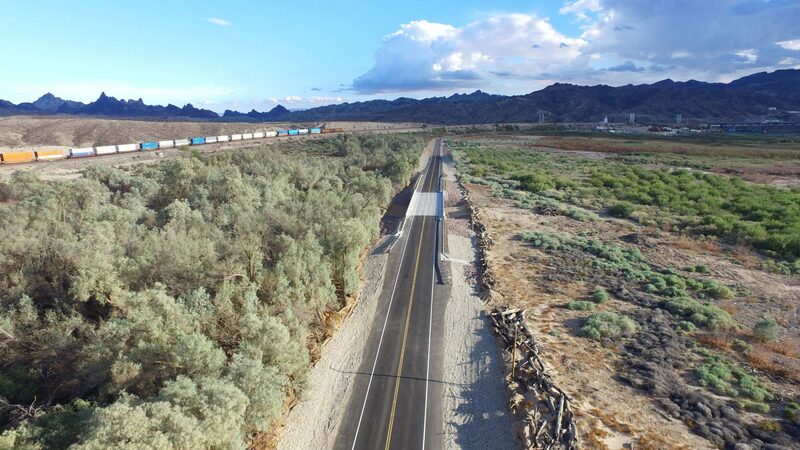 The project consisted of constructing a new single span bridge using ABC methods with Prefabricated Bridge Elements (PBE) and related roadway and drainage improvements on the Oatman – Topock Highway (Old Route 66) at the Sacramento Wash. 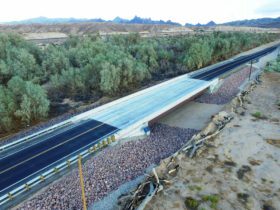 The work associated with the ABC bridge and roadway approaches was completed early within an 87-hour full roadway closure period. 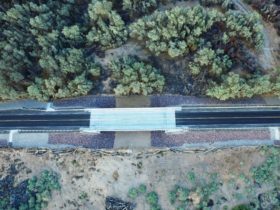 This was the first ABC project for Mohave County and the first Arizona project applying an ABC method of PBES. 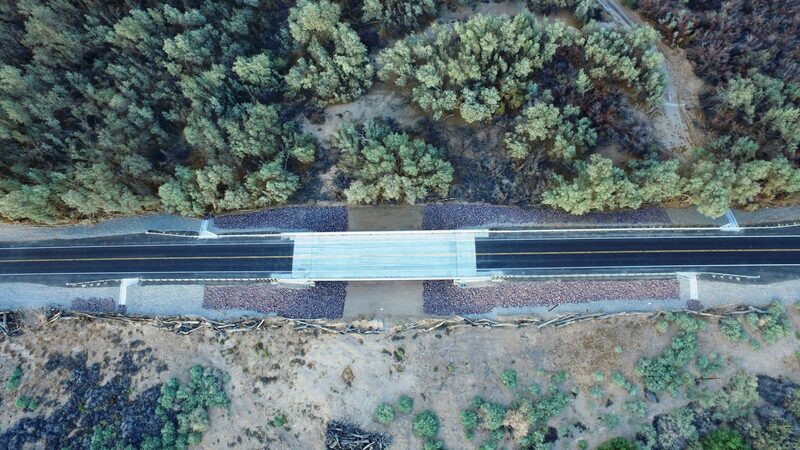 Pulice crews fabricated the bridge in Phoenix, then transported it in sections to the site, which was close to four hours away. A tight schedule, rural location, and limited right-of-way contributed to the challenging nature of the project. 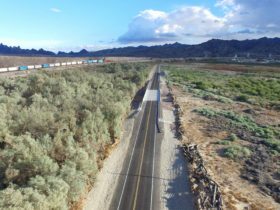 The project received national attention – FHWA, ADOT, and Mohave County partnered on a demonstration showcase that took place during construction, with more than 80 participants involved from State and County agencies. The project was funded in part by FHWA’s Accelerated Innovation Deployment Demonstration program, receiving $1 million in funds, with a total project cost of $2.9M. 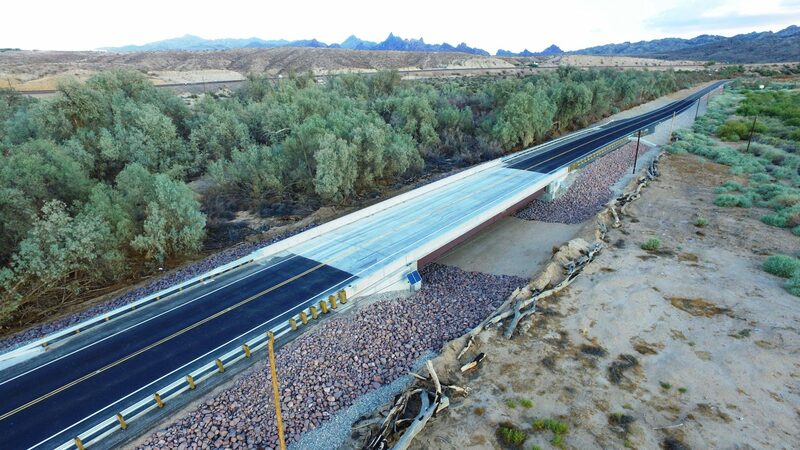 Because the prefabricated bridge elements cut down the closure period to less than four days, an estimated $2.6M was saved in expenses to motorists.